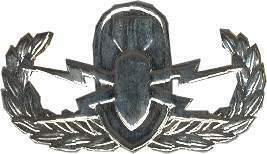 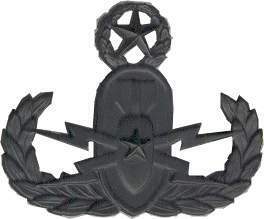 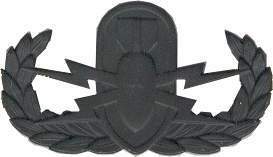 A silver badge, 1 3/4 inches in height, consisting of shield charged with a conventional, drop bomb, point down, from which radiates four lightning flashes, all in front of and contained within a wreath of laurel leaves. 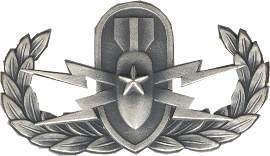 The senior explosive ordnance disposal badge is the same as the basic badge except the drop bomb bears a 7/32 inch silver star. 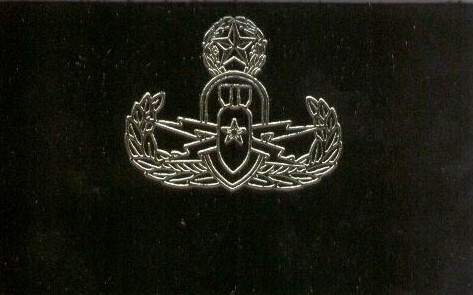 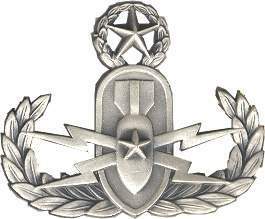 The master explosive ordnance disposal badge is the same as the senior except a star, surrounded by a laurel wreath, is added above the shield. 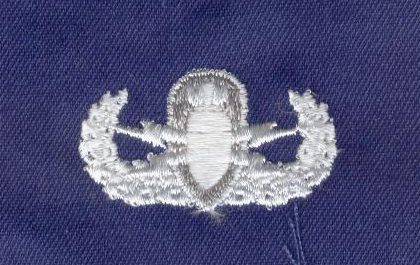 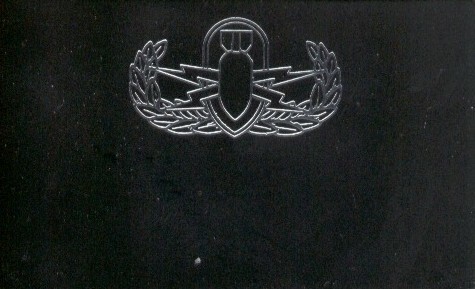 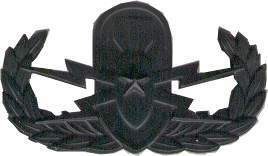 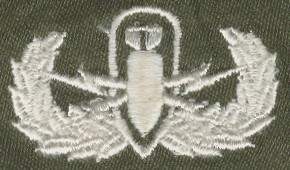 The shield charged with a drop bomb is from the shoulder sleeve insignia approved for the bomb disposal school in 1942. 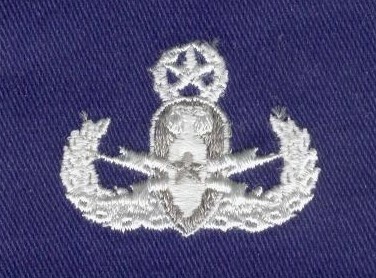 The device was subsequently adopted for wear on a brassard to identify bomb disposal personnel. 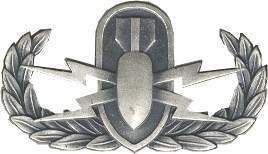 The bomb, with point down, indicates a live bomb and with the shield reflects the functions of ordnance personnel to safely dispose of live ordnance. 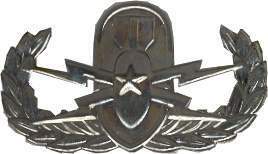 The Chief of Staff, U.S. Army, approved the explosive ordnance disposal specialist and the explosive ordnance disposal supervisor badges on 31 July 1957. 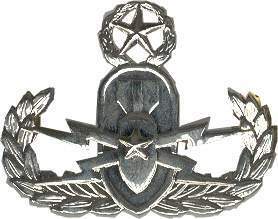 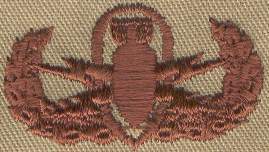 In June 1969, the master EOD badge was authorized. 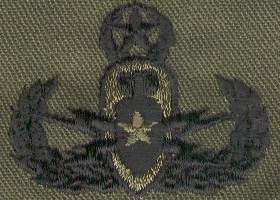 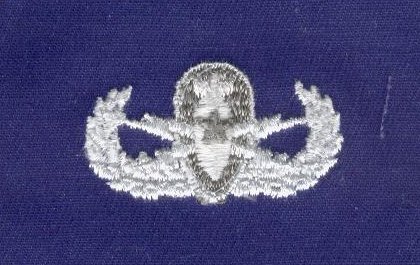 At the same time, the designation of the supervisor’s badge was changed to senior EOD badge and the EOD specialist badge was changed to EOD badge. 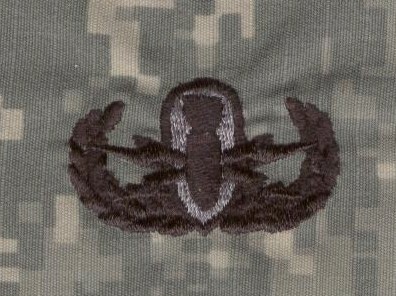 The subdued badge is authorized in metal and cloth. 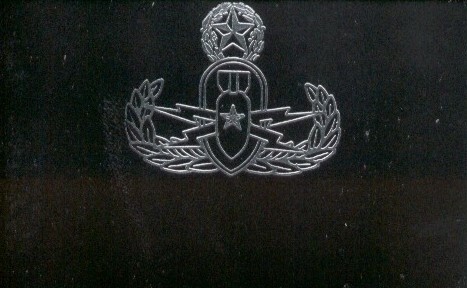 The metal badges have a black finish. 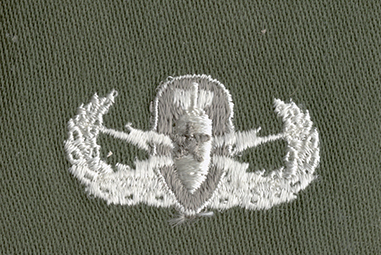 The cloth badges are on an olive green base cloth with the wreath, bomb, lightning flashes and outline of shield embroidered in black. 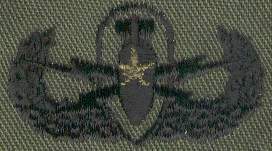 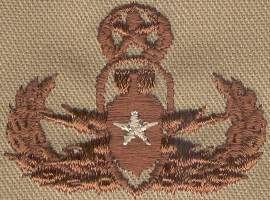 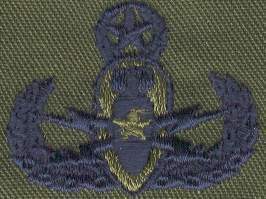 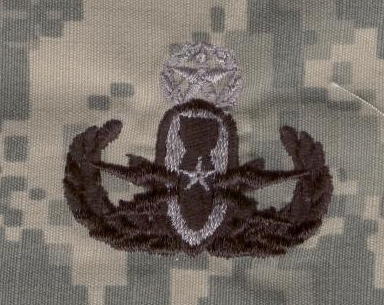 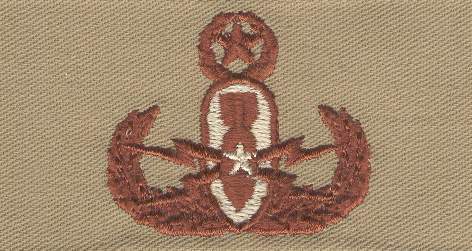 The star on the bomb for the senior and master badges is embroidered olive drab. 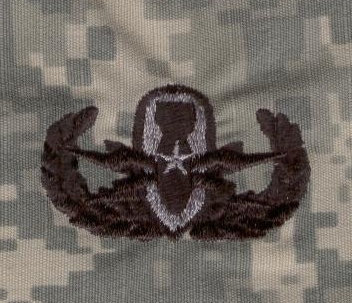 The wreath and star above the badge for the master is also embroidered black. 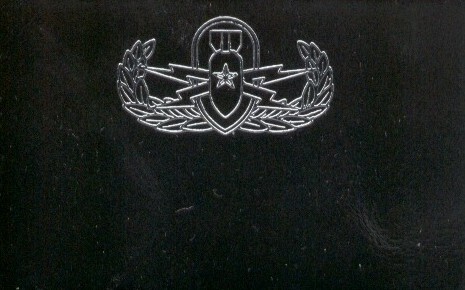 A dress miniature badge, 7/8 inch wide, is authorized.